Cellulose acetate, glossy on both sides. 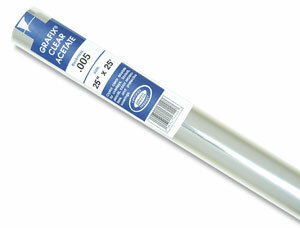 Use for protecting artwork, making overhead transparencies and overlays. Available in sheets, pads, and rolls.